Keep track of appointments with the Salon Professional 2 Column Appointment Book. 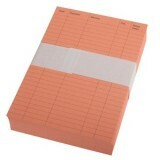 An essential ap..
Keep track of appointments with the Salon Professional 4 Column Appointment Book. An essential ap..
Keep track of appointments with the Salon Professional 5 Column Appointment Book. 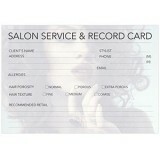 An essential ap..
Keep track of appointments with the Salon Professional 9 Column Appointment Book. An essential ap..
Professional Hairdressing Record Cards are the easy and efficient way of keeping records of all y..
Professional Beauty Therapy Record Cards are a great way of keeping a record of all your customer..